Alexander Zverev is a professional tennis player. Despite being only 21, he has won three ATP Masters 1000 titles and is the youngest player to win an ATP Masters 1000 title since 2007. Zverev is regarded as one of the Next Gen stars who would take over the world of tennis when the likes of Roger Federer, Rafa Nadal, and Novak Djokovic retire. Get to know more about the German wunderkind here including his parents, siblings, girlfriend, body stats, net worth etc. Alexander Zverev was born on the 20th of April 1997 in Hamburg, Germany. As a youngster, he grew up playing field hockey, football, and tennis but as he got older, he focused on tennis solely. 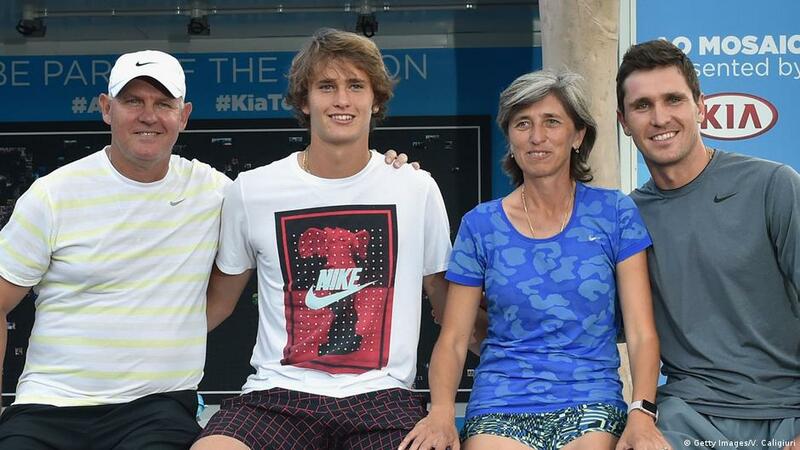 Coached by his parents, Zverev recorded some successes on the junior tour, winning the 2014 junior Australian Open. He followed it up with better performances in 2015, breaking into the ATP Top 100 ranking and finishing the year as the youngest player in the top 100. Alexander Zverev won his first ATP tour title in 2016, defeating Stan Wawrinka to win the St Petersburg Open. 2017 was an amazing year for Zverev as he won two ATP Masters 1000 title in grand style. He defeated the then-world number one and title favorite Novak Djokovic to win the Italian Open. In doing so, he became the youngest player to win such a tournament since a 19-year-old Djokovic did so in 2007. Zverev, who is popularly known as Sascha, followed it up with yet another victory over another heavyweight. He defeated Roger Federer in the final of the Rodgers Cup and further won titles in Montpellier, Washington, and Munich. He became the youngest player to win 5+ titles in one season since Djokovic in 2007 and also became the youngest player to break into the top three ranking since Djokovic (aged 19) did so in 2007. Till date, Zverev has taken part in a total of 171 matches (both singles and doubles) out of which he has won 88. He has won a total of nine singles titles (out of which 3 are Masters titles). Alexander Zverev has also reached the quarterfinal of the French Open as well as the third round of the other three Grand Slams namely the US Open, the Australian Open and Wimbledon. With all these amazing achievements so far, there is no doubt that Zverev is a future grand slam winner. It is only a matter of time. Net Worth – How Rich is Alexander Zverev? 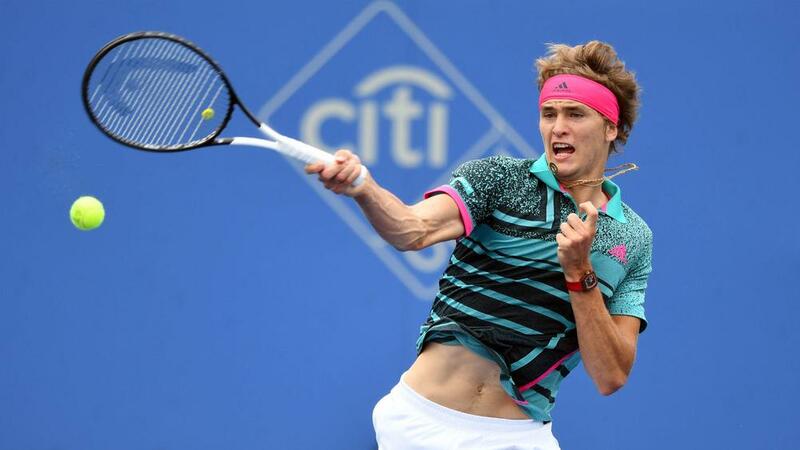 Zverev is reportedly worth $6 million. His source of income is primarily his earnings from the various tournaments that he has participated in. He has earned a total of $11,711,154 in prize money till date. His other sources of income include endorsement deals. He has lucrative deals with companies such as Adidas and Richard Mille, a Swiss luxury watch brand. Alexander Zverev comes from an illustrious tennis family. His dad, Alexander Zverev Sr. was a professional tennis player who was ranked amongst the top 200 players in the world at a point. He made two first-round appearances at Wimbledon. His mom, Irina Zverev was also a top-rated tennis player in her heydays and was ranked number four at some point. It is worthy to note that Zverev’s parents are originally from Russia but migrated to and naturalized in Germany in 1991. They both started coaching Zverev (as well as an older brother, Mischa) from a very young age. Till date, the elder Zverevs are still part of their sons’ coaching crew and travel on tour with them. Zverev has just one sibling, an elder brother named Mischa Zverev. Mischa is also a professional tennis player. He reached the quarterfinal of the Australian Open in 2017 and achieved a career-high ranking of world number 25 in July 2017. Alexander grew up watching his brother play tennis and traveled to his elder brother’s tournaments with his parents. The Zverev brothers are very close, both on and off the tour, and mutually motivate each other to do well. They also occasionally partner to play the doubles events at various tournaments. They both won the doubles title at the Open Sud de France tournament in Montpellier in 2017. Alexander Zverev is reportedly dating fellow professional tennis player, Belinda Bencic. Bencic is from Switzerland and started playing tennis at the age of four. She has won the Rodgers Cup (2015) and has defeated the likes of Serena Williams, Simona Halep, Caroline Wozniacki and Ana Ivanovic. Bencic and Zverev reportedly started dating in 2015. It must be stressed that there is no official confirmation of the relationship asides from posts on social media accounts. Alexander Zverev is 6 feet 6 inches tall and weighs 190 lb or 86 kg. Even though he is a giant, he has excellent movement coupled with a strong serve (that reaches upward of 130 miles per hour) and remarkable backhand. He hits the ball with easy, with flowing power on both wings.